Real Estate – Maximize revenue per square foot + ‘Activate’ buildings. Coworking Advisory – Strategic advisory support from initial concept through final launch. Coworking Operations – Deploy an operational-ready coworking brand in your property. Coworking Process Software – Turnkey coworking development solution, managed online. 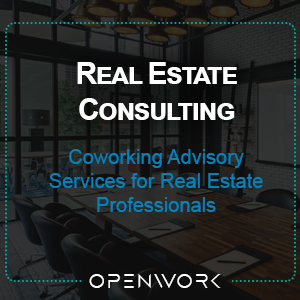 OpenWork is the world’s leading coworking advisory and operations consultancy. To get started with your coworking project, please provide the following information and we will get back in touch with next steps.